Are you thinking about installing Vinyl Siding on your home or building and questioning if that Vinyl Siding will succumb to the high winds from a tropical storm or hurricane? 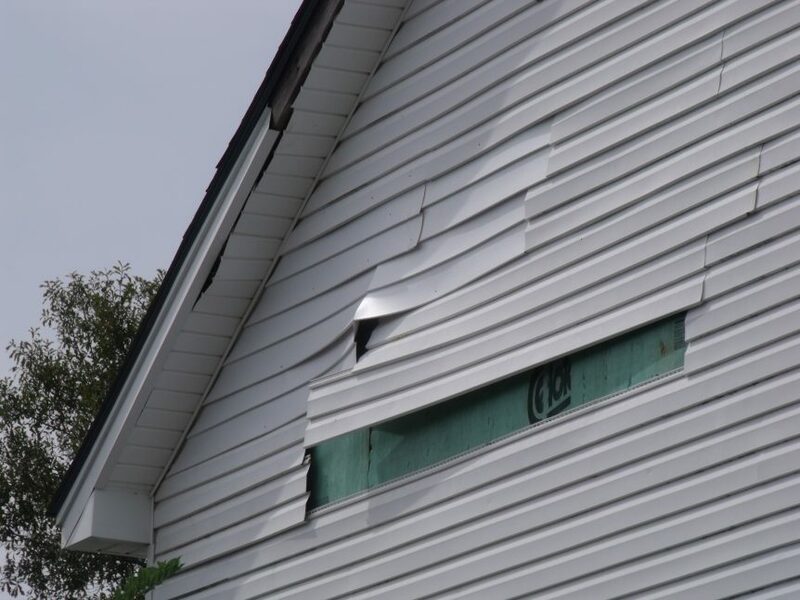 Wondering how Vinyl Siding is tested against wind damage or the rate of wind in miles per hour before the Vinyl Siding is ripped from a building? Vinyl Siding manufacturers send their products to a wind testing chamber in Chester County, South Carolina. This testing chamber is facilitated by the Insurance Institute for Business and Home Safety Research Center and it’s the only one in the country. This test chamber is unique in that it’s big enough to accommodate full-scale models of homes. During Vinyl Siding hurricane testing, the Vinyl Siding is mounted onto one of these full-scale housing models and then subjected to hurricane –like winds. How does the facility simulate hurricane force winds? They use 5.5 feet in diameter, 105 vane axial fans that push through a series of 15 tubes. These tubes have various controls on them that allow the testers to pressurize the wind, thus creating an even greater wind force than the fans alone would allow. If the Vinyl Siding you are planning on using on your home is labeled to withstand a certain wind speed it may stand up to this declaration. However, if your Vinyl Siding has no categorized wind speed level, then you are playing Russian Roulette when a tropical storm or hurricane hits our area. More than likely the manufacturer is producing a cheap Vinyl Siding and the do not want to be held responsible for claims that they cannot back up with in facts. And be sure to read the fine print on your warranty, you may find that the manufacturer has written a clause into their warranty where they will not be responsible for any lost or damaged vinyl siding due to storms or hurricanes. All you need to do is look to MAXWALLPRO’s Steel Siding Systems. We ARE able to withstand 150 mph winds, and it is clearly listed in our warranty. The savings you think you will find with cheap Vinyl Siding will quickly be lost when you need to replace missing or damaged Vinyl Siding due to a tropical storm or hurricane. Just check out our Product Comparison Page and see how Steel Siding stands up. Once again, Thank you for taking time to read our blog.